3 Mile Island, Eat Something on a Stick Day, fruit, spinach, breast milk, Martian monoliths. Today is Tuesday, March 28, the 87th day of 2017 in the Gregorian calendar, with 278 days remaining. 1,394 days until the end of Donald Trump's term as President, assuming he isn't impeached. On this date in 1979, America's worst commercial nuclear accident occurred inside the Unit Two reactor at the Three Mile Island plant near Middletown, PA. The film The China Syndrome was released on March 16, 1979, 12 days before the Three Mile Island nuclear accident in Dauphin County, Pennsylvania. 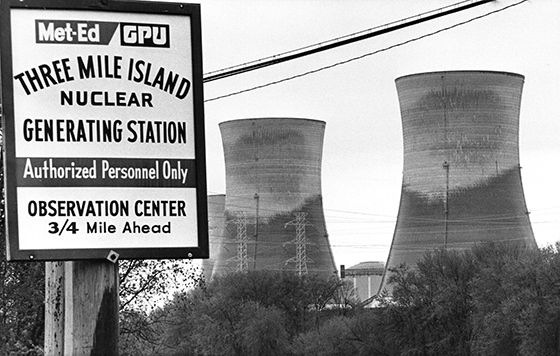 The accident portrayed in the movie was eerily similar to what happened at Three Mile Island. Coincidentally, in one scene, physicist Dr. Elliott Lowell (Donald Hotton) says that the China Syndrome would render "an area the size of Pennsylvania" permanently uninhabitable. Today is also National Something on a Stick Day. Florida man cited for eating pancakes in street. What gave some primates bigger brains? A fruit-filled diet. Maybe Popeye was on to something. Scientists convert spinach leaves into human heart tissue that can beat. Breast-fed kids may be less hyper, but not necessarily smarter, study finds. Proof of alien life or just a strange rock? Conspiracy theorists spot a 'huge tower' on the surface of Mars. Kinda looks like a monolith to me, Dave. There are people who spend their time yelling at the Mars Curiosity Rover on Twitter. "Do humanity a favor and self destruct." Trump lies- a lot- but the thing is, his supporters don't care. In fact, they like it.